“Monks, when wanderers from other religions say that, this is what you should say: ‘Venerable, in relation to sensuality, what is the gratification, what is the drawback, and what is the escape? In relation to bodies, what is the gratification, what is the drawback, and what is the escape? In relation to feelings, what is the gratification, what is the drawback, and what is the escape?’ Monks, when wanderers from other religions are asked this, they will be unable to reply and will only get more distressed. For what reason? Monks, it is not their domain. Monks, I do not see anyone in this world of devas, māras, and brahmas, in this generation of contemplatives and brahmins with its celestial and human beings, that is able to satisfy the mind with an answer to these questions – except a Tathāgata, a disciple of a Tathāgata, or someone who has heard it from them. “Monks, in relation to sensuality, what is the gratification? Monks, there are these five strands of sensuality. What five? Sights cognizable by the eye which are desirable, enjoyable, pleasant, lovable, sensual, and exciting; sounds cognizable by the ear… fragrances cognizable by the nose… flavors cognizable by the tongue… tangibles cognizable by the body which are desirable, enjoyable, pleasant, lovable, sensual, and exciting – monks, these are the five strands of sensuality. Monks, the pleasure and elation which arises dependent on these five strands of sensuality is the gratification in relation to sensuality. “Monks, in relation to sensuality, what is the drawback? Monks, here a gentleman makes a living by means of some kind of job – whether scribing, accounting, calculating, farming, trading, cow-herding, archery, government service, or some other job. He must face cold and heat, suffer the touch of flies, mosquitoes, wind, sunburn, and reptiles, and endure hunger and thirst. Monks, this is a visible2 drawback in relation to sensuality: the mass of suffering which is caused by sensuality, originates in sensuality, is the consequence of sensuality – the cause of which is just sensuality. “Monks, if that gentleman’s exertion, struggle, and effort does not produce wealth, he becomes sorrowful, weary, and aggrieved; he beats his chest and falls into confusion, thinking ‘My exertion was in vain! My effort was fruitless!’ Monks, this is another visible drawback in relation to sensuality: the mass of suffering which is caused by sensuality, originates in sensuality, is the consequence of sensuality – the cause of which is just sensuality. “Monks, if that gentleman’s exertion, struggle, and effort does produce wealth, then he experiences pain and depression as a consequence of guarding his wealth, thinking ‘May the government3 not take my wealth, may thieves not take it, may fire not burn it, may water not sweep it away, may unloved heirs not take it.’ But despite his attempt to guard his wealth, the government takes it, or thieves take it, or fire burns it, or water sweeps it away, or unloved heirs take it. He becomes sorrowful, weary, and aggrieved; he beats his chest and falls into confusion, thinking ‘What once was mine is no longer mine!’ Monks, this is another visible drawback in relation to sensuality: the mass of suffering which is caused by sensuality, originates in sensuality, is the consequence of sensuality – the cause of which is just sensuality. “Furthermore, monks, these are caused by sensuality, originate in sensuality, are the consequence of sensuality, the cause of which is just sensuality: kings dispute with kings, aristocrats dispute with aristocrats, brahmins dispute with brahmins, householders dispute with householders, mothers dispute with their children, children dispute with their mothers, fathers dispute with their children, children dispute with their fathers, brothers dispute with brothers, brothers dispute with sisters, sisters dispute with brothers, companions disputes with companions. Because of that disputing, arguing, and contention, they attack each other with fists, stones, sticks, and knives. As a result, they undergo death or death-like pain. Monks, this is another visible drawback in relation to sensuality: the mass of suffering which is caused by sensuality, originates in sensuality, is the consequence of sensuality – the cause of which is just sensuality. “Furthermore, monks, these are caused by sensuality, originate in sensuality, are the consequence of sensuality, the cause of which is just sensuality: having taken up sword and shield, having strapped on bow and quiver, they take both4 and charge into battle, amidst speeding5 arrows and spears, amidst flashing swords. There they are pierced by arrows, pierced by spears, and decapitated by swords. As a result, they undergo death or death-like pain. Monks, this is another visible drawback in relation to sensuality: the mass of suffering which is caused by sensuality, originates in sensuality, is the consequence of sensuality – the cause of which is just sensuality. “Furthermore, monks, these are caused by sensuality, originate in sensuality, are the consequence of sensuality, the cause of which is just sensuality: having taken up sword and shield, having strapped on bow and quiver, they charge at fortified strongholds, amidst speeding arrows and spears, amidst flashing swords. There they are pierced by arrows, pierced by spears, doused in caustic liquids6, crushed by heavy weights, and decapitated by swords. As a result, they undergo death or death-like pain. Monks, this is another visible drawback in relation to sensuality: the mass of suffering which is caused by sensuality, originates in sensuality, is the consequence of sensuality – the cause of which is just sensuality. “Furthermore, monks, these are caused by sensuality, originate in sensuality, are the consequence of sensuality, the cause of which is just sensuality: they break into houses, they plunder, they commit burglary, they commit highway robbery, they commit adultery. Then after seizing them, the government inflicts various kinds of torture on them – it has them flogged with whips, beaten with sticks, beaten with batons; it cuts off their hands, their feet, their hands and feet, their ears, their nose, their ears and nose; it performs the ‘Vinegar-bowl,’ the ‘Conch-head,’ the ‘Eclipse-mouth,’ the ‘Glowing Necklace,’ the ‘Hand-torch,’ the ‘Grass-voice,’ the ‘Bark-garment,’ the ‘Antelope,’ the ‘Meat-hook,’ the ‘Coin,’ the ‘Lye-dissolving,’ the ‘Twisting Lock,’ the ‘Straw Seat’;7 it douses them with hot oil, has them chewed on by dogs, impales them on a spike while they are still alive, and decapitates them. As a result, they undergo death or death-like pain. Monks, this is another visible drawback in relation to sensuality: the mass of suffering which is caused by sensuality, originates in sensuality, is the consequence of sensuality – the cause of which is just sensuality. “Furthermore, monks, these are caused by sensuality, originate in sensuality, are the consequence of sensuality, the cause of which is just sensuality: they engage in physical misconduct, verbal misconduct, and mental misconduct. After engaging in physical, verbal, and mental misconduct, when they are separated from their bodies after death, they appear in deprivation, a bad destination, downfall – in hell. Monks, this is a future8 drawback in relation to sensuality: the mass of suffering which is caused by sensuality, originates in sensuality, is the consequence of sensuality – the cause of which is just sensuality. “Monks, what is the escape in relation to sensuality? Monks, the destruction of desire and lust for sensuality, the abandoning of desire and lust for sensuality – this is the escape in relation to sensuality. “Monks, regarding those contemplatives and brahmins who do not truly understand in relation to sensuality the gratification as the gratification, the drawback as the drawback, and the escape as the escape – it is impossible that they will themselves come to a complete understanding of sensuality, and that they will encourage others to practice similarly so that they can also come to a complete understanding of sensuality. “Monks, regarding those contemplatives and brahmins who truly understand in relation to sensuality the gratification as the gratification, the drawback as the drawback, and the escape as the escape – it is possible that they will themselves come to a complete understanding of sensuality, and that they will encourage others to practice similarly so that they can also come to a complete understanding of sensuality. “Monks, what is the gratification in relation to bodies? Here, monks, one might see a young lady – an aristocrat, a brahmin, or a householder – who is fifteen or sixteen years old, not too tall and not too short, not too thin and not too fat, not too dark and not too pale. Monks, on that occasion is she at the peak of her radiance and beauty?” “Yes, Bhante.” “Monks, the pleasure and elation which arises dependent on that radiance and beauty is the gratification in relation to bodies. “Monks, what is the drawback in relation to bodies? Monks, on a later occasion one might see that same sister – eighty, ninety, or a hundred years old – decrepit, hunch-backed, bent over, leaning on a stick, trembling as she moves, afflicted; her youth gone, teeth broken, hair gone grey and sparse, limbs wrinkled and mottled. What do you think, monks? Has her previous peak of radiance and beauty disappeared, and the drawback manifested?” “Yes, Bhante.” “Monks, this is the drawback in relation to bodies. “Furthermore, monks, on a later occasion one might see that same sister – sick, in pain, severely ill, lying in her own urine and excrement, relying on others to get her up and lead her around. What do you think, monks? Has her previous peak of radiance and beauty disappeared, and the drawback manifested?” “Yes, Bhante.” “Monks, this is another drawback in relation to bodies. “Furthermore, monks, on a later occasion one might see that same sister, her corpse discarded in a cemetery – one, two, or three days dead; bloated, discolored, festering. What do you think, monks? Has her previous radiance and beauty disappeared, and the drawback manifested?” “Yes, Bhante.” “Monks, this is another drawback in relation to bodies. “Furthermore, monks, on a later occasion one might see that same sister, her corpse discarded in a cemetery – being chewed on by crows, hawks, vultures, dogs, jackals, or worms. What do you think, monks? Has her previous radiance and beauty disappeared, and the drawback manifested?” “Yes, Bhante.” “Monks, this is another drawback in relation to bodies. “Furthermore, monks, on a later occasion one might see that same sister, her corpse discarded in a cemetery – a skeleton with flesh and blood, bound together by sinews; a fleshless, bloody skeleton bound together by sinews; a fleshless, bloodless skeleton bound together by sinews; or disconnected bones scattered in every direction – a hand-bone in one direction, a foot-bone in another direction, an ankle-bone in another direction, a calf-bone in another direction, a thigh-bone in another direction, a hip-bone in another direction, a rib-bone in another direction, a spine-bone in another direction, a breast-bone in another direction, a neck-bone in another direction, a jaw-bone in another direction, a tooth in another direction, a skull in another direction. What do you think, monks? Has her previous radiance and beauty disappeared, and the drawback manifested?” “Yes, Bhante.” “Monks, this is another drawback in relation to bodies. “Furthermore, monks, on a later occasion one might see that same sister, her corpse discarded in a cemetery – bones as white as conch-shells, a pile of bones more than a year old, bones crumbled to dust. What do you think, monks? Has her previous radiance and beauty disappeared, and the drawback manifested?” “Yes, Bhante.” “Monks, this is another drawback in relation to bodies. “Monks, what is the escape in relation to bodies? Monks, the destruction of desire and lust for bodies, the abandoning of desire and lust for bodies – this is the escape in relation to bodies. “Monks, regarding those contemplatives and brahmins who do not truly understand in relation to bodies the gratification as the gratification, the drawback as the drawback, and the escape as the escape – it is impossible that they will themselves come to a complete understanding of bodies, and that they will encourage others to practice similarly so that they can also come to a complete understanding of bodies. “Monks, regarding those contemplatives and brahmins who truly understand in relation to bodies the gratification as the gratification, the drawback as the drawback, and the escape as the escape – it is possible that they will themselves come to a complete understanding of bodies, and that they will encourage others to practice similarly so that they can also come to a complete understanding of bodies. “Monks, what is the gratification in relation to feelings? Monks, isolated from sensuality and from unwholesome phenomena, a monk attains and remains in the first Jhāna, which has thought, examination, and the rapture and happiness produced by isolation. Monks, on the occasion when, isolated from sensuality and from unwholesome phenomena, a monk attains and remains in the first Jhāna, which has thought, examination, and the rapture and happiness produced by isolation, at that time he does not intend harm9 for himself, for others, or for both; at that time he feels feelings that are completely harmless10. Monks, I say that freedom from harm is the highest gratification in relation to feelings. “Furthermore, monks, with the pacification of thought and examination, and with internal composure and mental unification, a monk attains and remains in the second Jhāna, which has no thought, no examination, and has the rapture and happiness produced by concentration… with the dissipation of rapture a monk dwells equanimous, mindful, and clearly aware – what the noble ones describe as ‘Equanimous, mindful, and happy’; he attains and remains in the third Jhāna… with the abandoning of pleasure and pain, and with the previous disappearance of elation and depression, a monk attains and remains in the fourth Jhāna, which has neither pain nor pleasure, and has purity of mindfulness and equanimity… at that time he does not intend harm for himself, for others, or for both; at that time he feels feelings that are completely harmless. Monks, I say that freedom from harm is the highest gratification in relation to feelings. “Monks, what is the drawback in relation to feelings? Monks, that feelings are impermanent, unsatisfying, and subject to change – this is the drawback in relation to feelings. “Monks, what is the escape in relation to feelings? Monks, the destruction of desire and lust for feelings, the abandoning of desire and lust for feelings – this is the escape in relation to feelings. “Monks, regarding those contemplatives and brahmins who do not truly understand in relation to feelings the gratification as the gratification, the drawback as the drawback, and the escape as the escape – it is impossible that they will themselves come to a complete understanding of feelings, and that they will encourage others to practice similarly so that they can also come to a complete understanding of feelings. 2 Sandiṭṭhika. That is, visible in this life. 4 That is, both sword&shield and bow&quiver. 6 Chakaṇakā. This term appears only in the standard list of torture methods, so its precise meaning is uncertain. 7 This is probably a list of torture methods used at that time. No further details can be found in the Suttas. 8 Samparāyika. That is, visible in future lives. 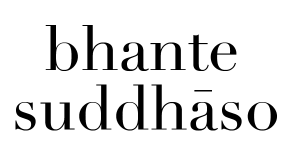 9 Vyāpajjha. This word connotes hostility and aversion as well as harmfulness and oppressiveness. A more commonly recognized form of the word is vyāpāda, which is one of the five obstacles (nīvaraṇa). 10 Avyāpajjha. This could be rendered “non-troublesome,” “non-afflictive,” “non-oppressive,” etc.